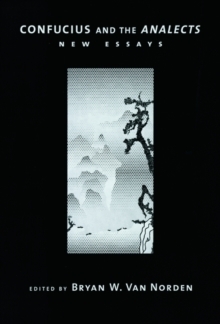 Are American colleges and universities failing their students by refusing to teach the philosophical traditions of China, India, Africa, and other non-Western cultures? This biting and provocative critique of American higher education says yes. Even though we live in an increasingly multicultural world, most philosophy departments stubbornly insist that only Western philosophy is real philosophy and denigrate everything outside the European canon. 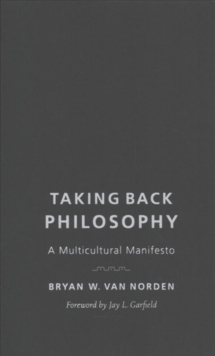 In Taking Back Philosophy, Bryan W. Van Norden lambastes academic philosophy for its Eurocentrism, insularity, and complicity with nationalism and issues a ringing call to make our educational institutions live up to their cosmopolitan ideals. In a cheeky, agenda-setting, and controversial style, Van Norden, an expert in Chinese philosophy, proposes an inclusive, multicultural approach to philosophical inquiry. He showcases several accessible examples of how Western and Asian thinkers can be brought into productive dialogue, demonstrating that philosophy only becomes deeper as it becomes increasingly diverse and pluralistic. 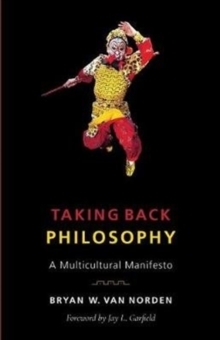 Taking Back Philosophy is at once a manifesto for multicultural education, an accessible introduction to Confucian and Buddhist philosophy, a critique of the ethnocentrism and anti-intellectualism characteristic of much contemporary American politics, a defense of the value of philosophy and a liberal arts education, and a call to return to the search for the good life that defined philosophy for Confucius, Socrates, and the Buddha. 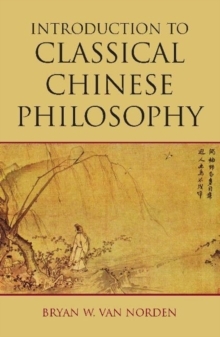 Building on a popular New York Times opinion piece that suggested any philosophy department that fails to teach non-Western philosophy should be renamed a "Department of European and American Philosophy," this book will challenge any student or scholar of philosophy to reconsider what constitutes the love of wisdom.